Find Better Ideas, Faster ® with a custom connected drive trend report, our PRO Dashboard and 80+ categories of premium trend reports. 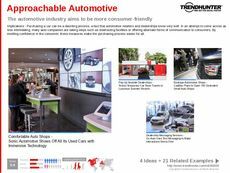 The Connected Drive Trend Report is a collection of the latest trends in driving technology. 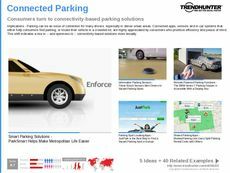 The all-encompassing report features intuitive cars, advances in car safety and various software used to increase comfort and convenience for modern drivers. 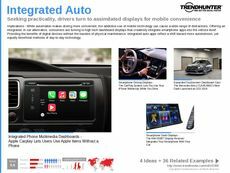 When exploring trends in connected driving, technologies involving in-car entertainment will also be covered. 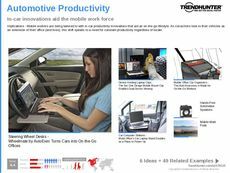 The Connected Drive Trend Report can be utilized for a variety of purposes. Those working in the transportation, tech and software industries will receive a comprehensive guide that displays the latest innovations in connected cars, and more specifically, trends that affect driving. 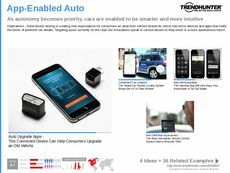 The Connected Drive Trend Report will better prepare readers for the future by providing them with comprehensive crowdsourced information on both industry trends as well as consumer preferences.